Burnt Bridge Cellars, an urban winery in Vancouver, Wash., produced a 2015 Cabernet Sauvignon from the Walla Walla Valley that ran the gauntlet to emerge as the best red wine of the Great Northwest Invitational. This particular bottling doesn’t seem to be slowing down. The same $40 wine earned a double gold at the Cascadia International Wine Competition in April. 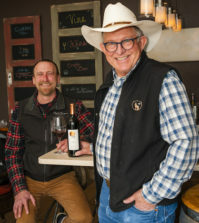 The team of Stuart, co-founder Mark Mahan and co-owner Greg Wallace plan to release their 2016 vintage next spring, a wine that will include some Malbec from famed Boushey Vineyard and allow them to increase production of 220 cases. It represents about 20 percent of the boutique winery’s total production. A decade ago, Mahan, an engineering grad from University of California-Davis and winemaking physician David Smith, launched Burnt Bridge. The former automotive garage, built during the Depression, seems nicely positioned on Broadway Street with the $1.5 billion Vancouver Waterfront Development coming to life just a few blocks to the south. That project includes a new tasting room for award-winning Maryhill Winery. 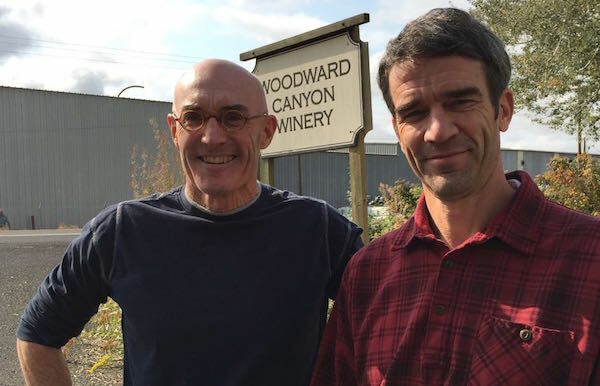 It’s no coincidence that the award for best white wine at the Great Northwest Invite went to historic Woodward Canyon and its continued transcendent work with Chardonnay. At one point during the 1990s, founding winemaker Rick Small and the “Get Woody” slogan could have been used to describe his Chardonnay. Over time, he’s scaled back the influence of new French oak barrels to what’s become a consistent blend of 20 percent new wood from Burgundy. “As I’ve gotten older and matured as winemaker, I found the overly oaky Chardonnay more appropriate for California,” Small says. There was also a tight focus for the Chardonnay program at Woodward Canyon from the 2017 vintage, a single bottling that’s a 50/50 blend of fruit from famed Celilo Vineyard in the Columbia Gorge and Woodward Canyon Estate Vineyard, which is farmed using Salmon-Safe protocols. And this past spring, Small and winemaker Kevin Mott had their 2017 Chardonnay named as the best white wine of the Walla Walla Valley Wine Competition, a fundraiser for College Cellars of Walla Walla. It was no surprise that judges for the largest international wine competition staged in Oregon awarded more golds to Pinot Noir than any other category, and the class dominated by Oregon. Zena Crown Vineyard, a site and brand owned by Jackson Family Wines, earned best of class for its 2015 Σ The Sum Pinot Noir, a wine from the rising Eola-Amity Hills crafted by Shane Moore, an Idaho native who graduated from Washington State University. 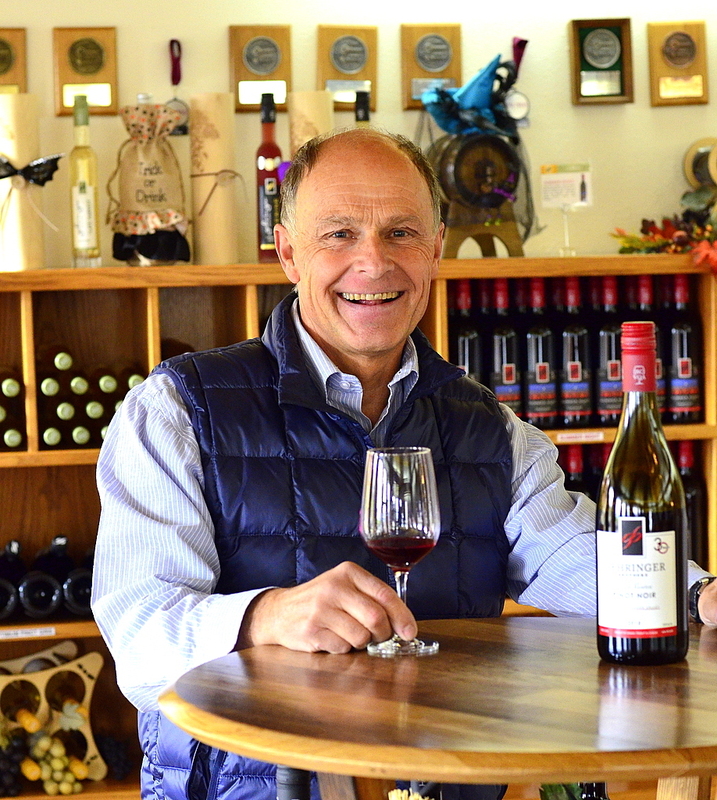 Tony Rynders, who consults with Moore and several other winemaking clients, also earned a gold medal for the Child’s Play 2016 Pinot Noir under his Tendril Wine Cellars portfolio. Youngberg Hill and Wayne Bailey near McMinnville continued their strong showing by winning gold medals for both the 2015 Cuvée Pinot Noir and 2015 Natasha Pinot Noir. The only unanimous double gold medal in the category was earned by Columbia Gorge winemaker Rich Cushman and the Fletcher family for the Stave & Stone Wine Estates 2016 Artur Legacy Pinot Noir. A to Z Wineworks, the largest wine producer in Oregon, used Pinot Noir to win a pair of gold medals, which included the event’s best sparkling wine for its approachable and crown-capped Rosé Bubbles ($18). Cool-climate winemaking talent Ariel Eberle of Yamhill Valley Vineyards in McMinnville continued her recent string of success with a pair of double gold medals for estate-grown Riesling, a late-harvest approach from the 2015 vintage and an off-dry style from 2016. And while David O’Reilly grows the vineyard program surrounding his estate and winery at Owen Roe near Yakima, Wash., the longtime Oregon producer won a gold medal for his bargain 2016 Sharecropper’s Pinot Noir ($16) from the Willamette Valley. Meanwhile, his youthful 2017 Ex Umbris Syrah was voted best of class. Maryhill Winery, the 80,000-case producer at the eastern end of the Columbia Gorge, matched Gehringer Brothers with a competition-high four gold medals. New Zealand native Richard Batchelor showed a Midas touch with Merlot, earning a gold medal for his large-scale Columbia Valley bottling and another for his precise work with Kiona Vineyards’ Heart of the Hill planting. 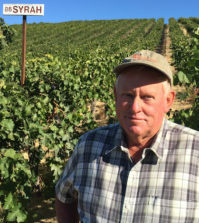 Batchelor also impressed judges with his 2015 McKinley Springs Vineyard Cinsault, which was voted one of the best single-variety red wines of the Invite. And the 2017 Viognier, the largest standalone white variety made by Maryhill, won best-of-class honors. 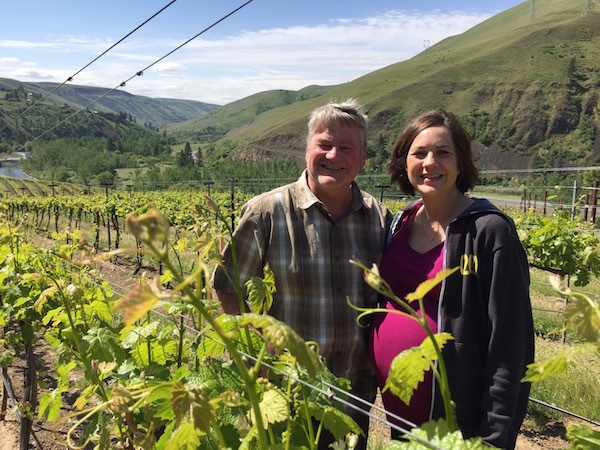 Co-owners Craig and Vicki Leuthold continue to show their passion for that grape, and the 6,000-case production of that $18 example has positioned Maryhill as the Pacific Northwest’s biggest ambassador for Viognier. 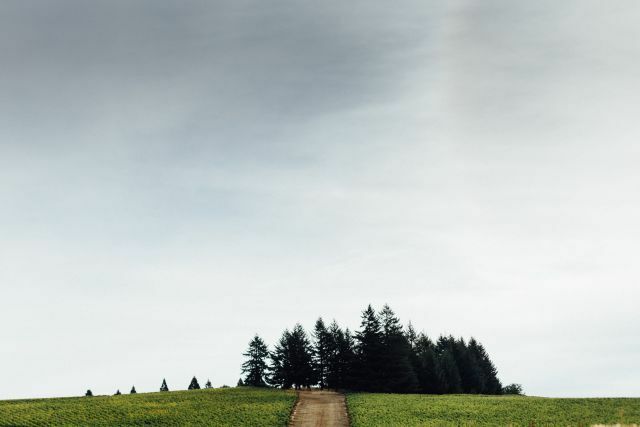 The Northwest’s largest wine company, Ste. 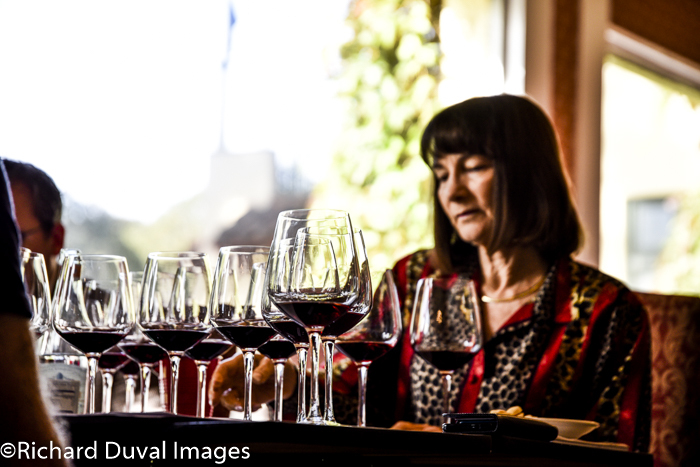 Michelle Wine Estates, earned six gold medals across four of its brands – Chateau Ste. Michelle (three), Columbia Crest, Domaine Ste. Michelle and Drumheller Wines. 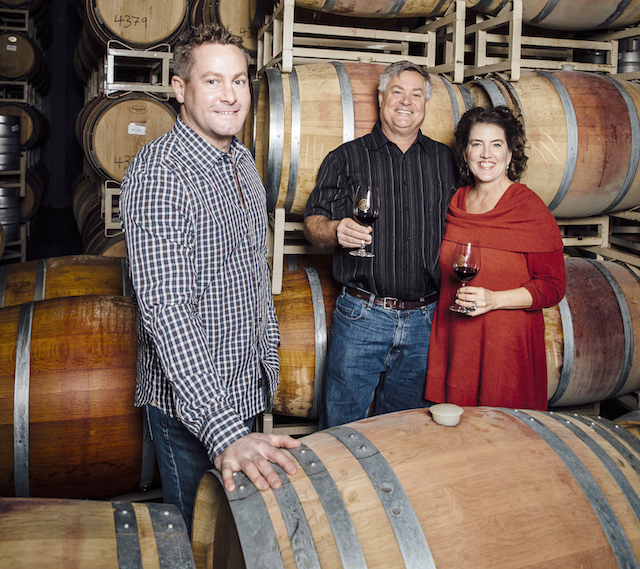 The Williams family and their Kiona Vineyards and Winery, named earlier this year by Wine Press Northwest magazine as 2018 Washington Winery of the Year, showed up throughout the Invite both as winemakers and growers, particularly with Merlot and Malbec. Their 2016 Estate Merlot brought home a gold medal, and the Kiona 2016 Heart of the Hill Malbec took best of class. It’s also noteworthy that neighboring Charlie Hoppes earned a gold medal for his Fidelitas 2015 Malbec, a wine dominated by fruit from Heart of the Hill Vineyard. The state of Idaho earned high honors for seven wines, led by newcomer Par Terre Winery, which used its 2017 Rosé of Syrah to top the field of rosé. Travis and Mallory Walker retired from their lives as professional ballet dancers and chose to raise their family in the Boise area. They named their brand as a tribute to their dancing careers, a French phrase that translates to “on the ground.” They released their first wines in 2018, and Travis, another product of Walla Walla Community College’s wine program, pulled Syrah from Washington state as a result of the extreme 2017 winter damage in the Snake River Valley. Colter’s Creek Winery in the Lewis-Clark Valley made a lasting impression with two best-of-class awards. Melissa Sanborn, a winemaker who trained at WSU, and her vineyard manager husband Mike Pearson struck double gold with both their 2015 Tempranillo and 2015 Arrow Rim Red, a GSM-style wine that leads with Grenache. 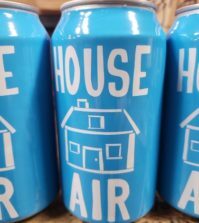 They recently became the second producers in the Gem State to operate two tasting rooms, opening a showpiece in the college town of Moscow. DeLille Cellars founding winemaker Chris Upchurch showed his usual flair with Bordeaux varieties during the Invitational. He combined with Jason Gorski to earn gold medals for the Merlot-led 2015 D2 Red Blend and the 2015 Four Flags Cabernet Sauvignon. Upchurch also merited best-of-class honors for the Merlot-led 2015 Counterpart Red Wine under his young eponymous brand with estate vines on Red Mountain. Chris Peterson, an alumni of both DeLille and the College Cellars program at Walla Walla CC, earned a gold under his Avennia brand for his Merlot-led Gravura red blend. Meanwhile, the talent continues to flow out of College Cellars, and the gold earned by the pupils of Tim Donahue, Sabrina Lueck and Joel Perez for the student-grown and produced 2017 Clarke Vineyard Sauvignon Blanc adds to the string of top awards won this year. Once again, the Columbia Gorge Hotel proved to be delicious platform for some of the best from British Columbia as 33 Canadian producers combined to win 20 gold medals. Nine of those were awarded to red wines. 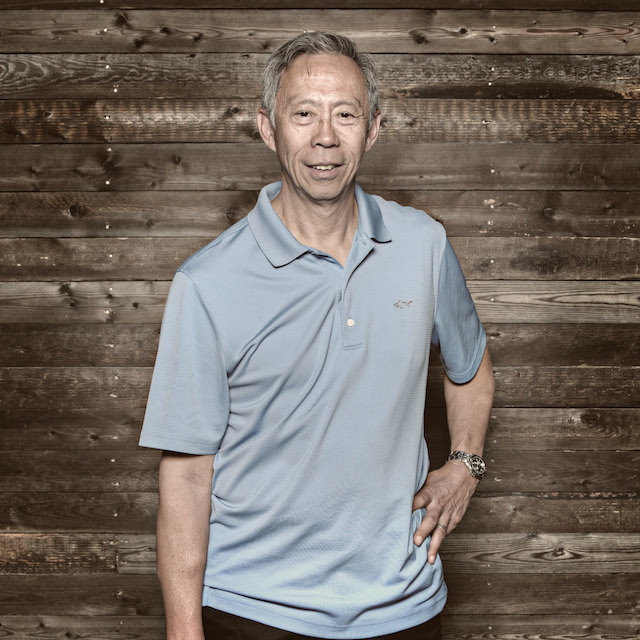 Esteemed winemaker Howard Soon and his wines from Vanessa Vineyard, an exciting young property in the emerging Similkameen Valley west of the Okanagan Valley, went on to win three gold medals — all for suave reds. He produced the best Cabernet Franc of the competition, earning a double gold while doing it, and the Vanessa Vineyard 2014 Syrah also received a double gold. 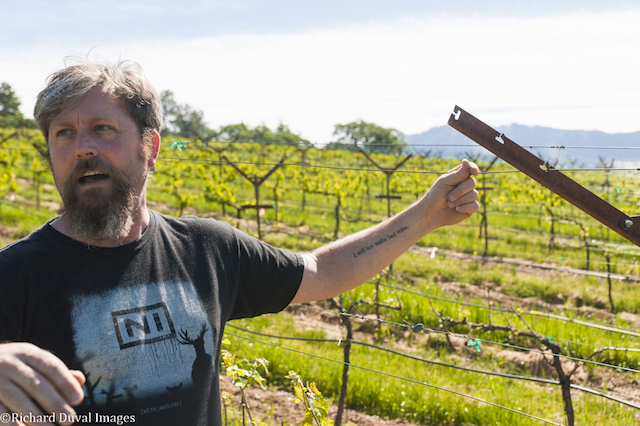 Stephen Reustle and Reustle – Prayer Rock Vineyards north of Roseburg in the Umpqua Valley won three gold medals. Herb Quady, which made headlines this summer at the Oregon Wine Competition, followed up with a best-of-class among white Rhône blends for his 2017 Pistoleta as well as a gold medal for his Cab Franc-based 2016 La Battalia. This summer, Quady and his Barrel 42 Custom Winecraft team in the Rogue Valley city of Medford swept the superlatives at the Oregon Wine Competition, winning the best red wine, best white wine and best rosé. Roots for Gehringer Brothers Estate Winery stem from the Becker Project in the late 1970s, led by historic German viticulturist Helmut Becker. 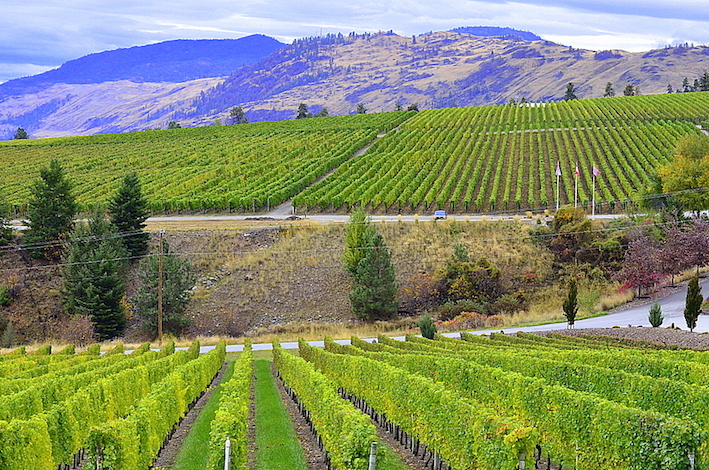 His research and test plots of vinifera in the Okanagan Valley inspired the Gehringer family to establish their vineyard in 1981. Along the way, Walter learned winemaking in Geisenheim and Gordon studied viticulture in Weinsberg. Today, they produce about 20,000 cases annually. Their tradition of quality at bargain price points has been known to annoy some winery owners. The Gehringer – rhymes with bell-ringer – brothers’s estate tasting room is less than 20 miles north of Oroville, Wash., a three-hour drive from Lake Chelan, but their success in U.S. judgings goes well beyond this competition. 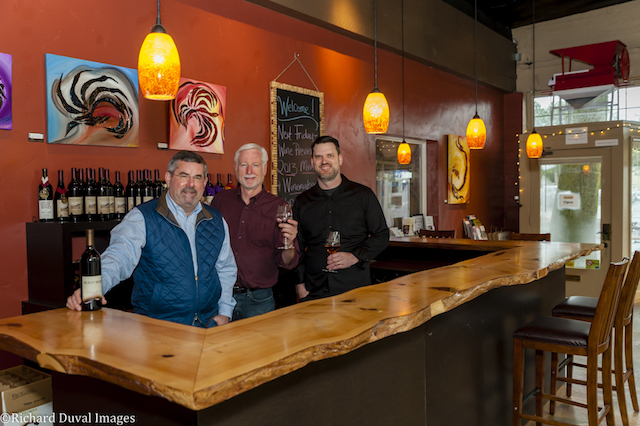 In fact, Gehringer Brothers can claim the title of “King of the Platinum.” No winery has won more top awards at Wine Press Northwest magazine’s annual year-end judging of gold-medal winners. Later this month, the brothers will be looking to add to the 70 Platinum awards they’ve claimed during the competition’s 18-year history. Just behind Gehringer Brothers is Maryhill and Chateau Ste. Michelle. Chances of the Gehringers growing their total of Platinum awards improved last week with more golden qualifiers via the Invite. That included best-of-class awards for their 2017 Riesling and 2017 Sauvignon Blanc, but they won’t be chasing icewine of any kind from the 2018 vintage. They began in 2016 a practice of producing icewine only during even numbered vintages. For years, Landis owned and operated Landis Shores Oceanfront Inn, a high-end boutique lodge and restaurant in Half Moon Bay with her chef/husband Ken, who also is an accomplished wine judge. Along the way, she began contributing to The SOMM Journal. And perhaps it was no surprise that Landis’s nominations also included the Burnt Bridge Cellars 2015 Cabernet Sauvignon. Her home is a 20-minute drive west of the winery. Chris Arora is the lead sommelier at John Howie Steak in Bellevue, Wash., and key account manager in Seattle for American Northwest Import & Distribution, which also has offices in Portland and Spokane. 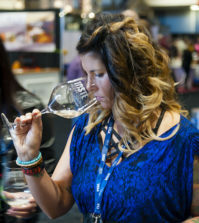 Naomi Boutz is owner and wine director of Vine & Olive Riverstone Eatery and Wine Bar in Coeur d’Alene, Idaho. 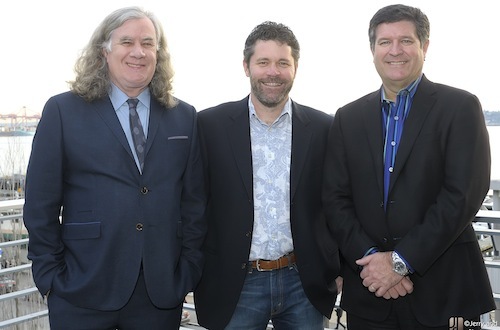 Daniel Carr is co-owner, Visconti’s Italian Restaurant Group and Cured by Visconti, Wenatchee, Wash.
Gary Hayes is president of Explorer Media Group, Seaside, Ore.
Dave Holstrom operates Guy du Vin, a restaurant wine program consulting business in Portland. Chris Horn is the wine director for Seattle-based Heavy Restaurant Group and Purple Café & Wine Bar and co-author of Cook + Cork. Tim O’Brien is corporate director of beverage at Salty’s Restaurants in Seattle & Portland. Dave Smith is director of buying for Everything Wine in North Vancouver, British Columbia. Jennifer Williamson, a certified sommelier, is the wine buyer, wine educator and restaurant manager for the Neuman Hotel Group in Ashland, Ore.
Sara Wilson is wine buyer/GM for Mystic Café, Lewiston, Idaho. Doug Zellers is co-owner/general manager of Ray’s Boathouse, Café & Catering in Seattle. Paul Zitarelli is owner for Full Pull Wines in Seattle, wine writer for Seattle magazine and author of 36 Bottles of Wine by Sasquatch Books.